The company stands and operates in Zafferana Etnea. Zafferana Etnea ( Zafarana in siciliano) is an Italian municipality of 9 537 inhabitants in the metropolitan city of Catania in Sicily. Zafferana Etnea rises to 574m, on the eastern slopes of Mount Etna, Europe's largest active volcano. It extends to the summit of the volcano, including in its territory landscapes of inestimable natural beauty, from dense forests to the lava desert stretches. 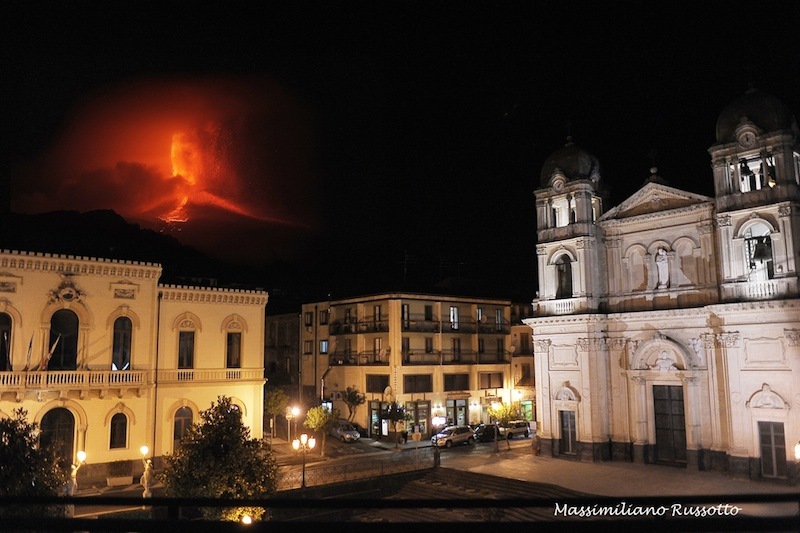 It is one of the municipalities of the Etna Regional Park and in its territory are the three large valleys which, according to accredited hypotheses, represent the testimony of the sequence of the genesis of the volcano: Valley of Bove, Val Calanna, Valle San Giacomo. The village is lying in a valley at the foot of the mountains, Pomiciaro (1715 meters above sea level), Zoccolaro (1739 meters above sea level), Fior di Cosimo (1178 meters above sea level), along the coast of Ionian coast, Terrace. The panorama is unique: to the east the Ionian coast that goes from the gulf of Siracusa to that of Taormina; To the west the highest active volcano in Europe, the Etna, clad by rich chestnut and beech woods. The town of Zafferana etnea was founded in 1826, but the ancient site began to develop some centuries ago around the priory of St. James, which was constituted in 1387 for the administration of the surrounding territory. The farmhouse s. However, giacomo is mentioned only at the beginning of the seventeenth century, and the "zafarana" name appears in a document for the first time in 1694. 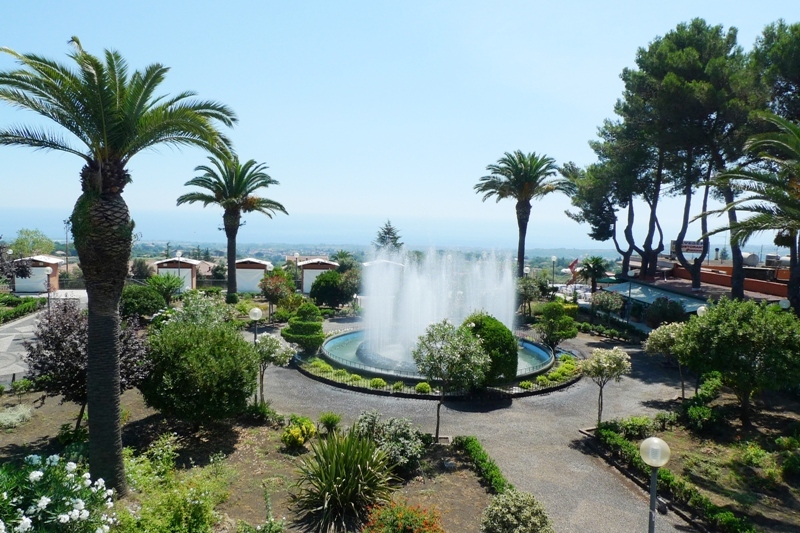 Located on Etna at almost 600 m above sea level and situated in a pleasant location for lovers of tranquility and nature, it is only a few kilometers from the most important centers (Catania 24,6 km, Taormina 36,6 km, Acireale13,7 km ) And is halfway between the sea and the mountain. 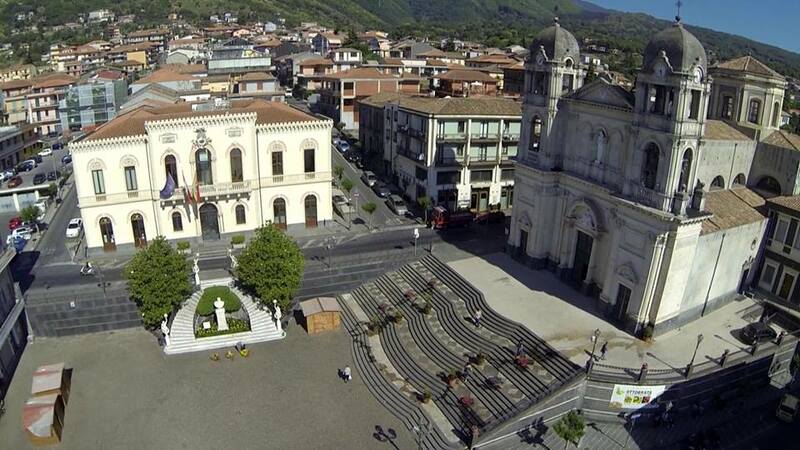 Zafferana Etnea is one of the highest municipalities in the province of Catania, and for this reason many holidaymakers in the summer. 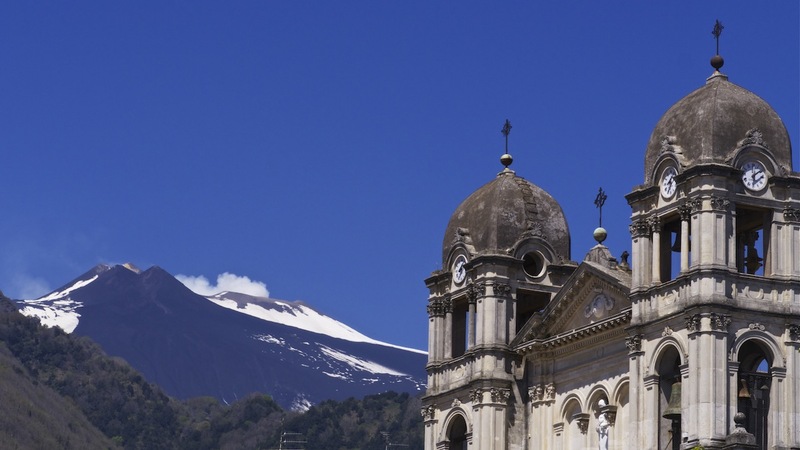 Summer and winter tourist center, The Perla dell'Etna, as deservedly defined, is an important climatic station, being a suitable holiday resort when the climate in the big cities becomes irresistibly warm. The presence of the mountain, with its lush forests, allows in fact to cope with the particularly high temperatures of the summer months. The climate, mild in the autumn and spring months, becomes quite stiff in winter, causing frost and very rarely some snowfall, but favoring high-altitude winter sports lovers. The average temperature is some degrees lower than that of the city of Catania and, in general, the cities of the province located by the sea. Climate classification: Zone C, GR-G (day-grade) 1184, Altitude 574. Zafferana Etnea is a perfect destination for tourists who want to enrich their holidays with cultural, artistic and natural aspects, thanks to the opportunity to embark on excursions of varying duration within the Etna Park and to participate in various cultural events , Such as the Brancati literary prize, the summer festival Etna in Scena (dance, music, theater, cinema) and the Ottobrata Zafferanese, an important fair-cultural event taking place every Sunday in October in the historic center of the town. Sicilmiele is a registered trademark of the Honey Manufacturers Association, headquartered in Zafferana Etnea Via Padre Don Giovanni Coco, 31 - 95019. ABOUT US is involved in the production and marketing of typical Sicilian honey such as: arancio- limone - millefiori - eucaliptus - castagno - timo - acacia - sulla. Our honey is produced from bees and handmade, through a process of extracting from the honeycomb by centrifuge in a completely natural way: Honey is not warmed, pasteurized or treated in any way.